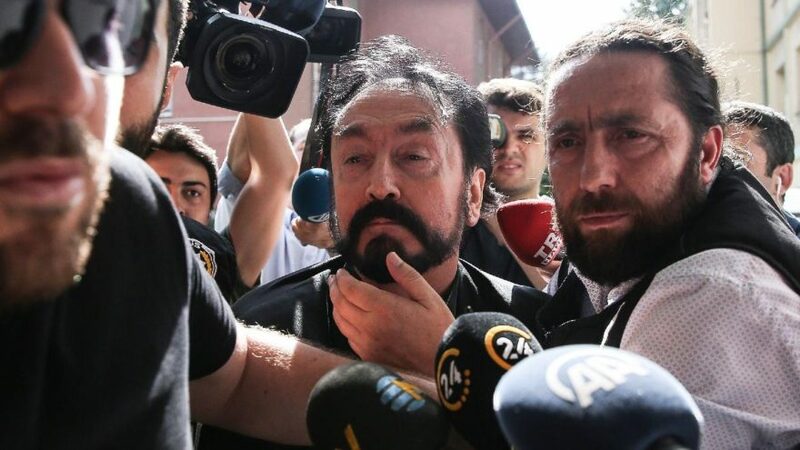 Turkish police teams on Wednesday morning detained Turkish televangelist Adnan Oktar, and at least 234 of his followers on various accusations ranging from child abuse to forming a criminal organization. Mr. Oktar blamed the “British deep state” over his detention. Police teams raided Oktar’s house in İstanbul’s Çengelköy neighborhood and detained him and his guards in the early hours of Wednesday. Turkish prosecutors issued detention warrants for 235 of Oktar’s followers in Ankara, Muğla and Antalya as well as İstanbul, where 235 locations were raided, resulting in the detention of 166 people, 106 of whom are women. Speaking to the Cumhuriyet daily after the launch of the operation, Oktar said he and his followers supported the Justice and Development Party (AKP) and President Recep Tayyip Erdoğan in the elections held on June 24; hence, he was surprised to see that they were the targets of such an operation. “We are people who are loyal to their homeland and the nation. At a time when operations should be conducted against the PKK [outlawed Kurdistan Workers’ Party] and enemies of the homeland and the nation, they are carried out against us. I think neither Mr. Erdoğan nor the interior minister has knowledge about this operation. I am not offended [at them], but I am surprised,” said Oktar. – Adnan bey neden gözaltına alındınız?